After running through a quick unboxing of the Asus ZenWatch, it only made sense to follow up with a comparison video of Asus’ premium Android Wear device to the other two smartwatch champions of the moment, the LG G Watch R and Moto 360. Each is outfitted in premium materials, like metals and leathers, but each is certainly different in its own right, whether that be through the quality of those materials used or its price tag. The ZenWatch, like the other two, is an attempt by a technology company to create a classic looking time piece that is technologically advanced. Asus skipped the round display and instead went with curved pieces of metal to give off a rounded feel, but the square display is certainly a step below what LG and Motorola have done with their watches. Other than that drawback, the ZenWatch is equally as impressive as the spec-heavy G Watch R (outside of a heart rate monitor), and arguably as pretty as the Moto 360. Asus has used better materials than what you will find in the $299 G Watch R, yet it carries a $100 cheaper price tag. I would put it on par with the Moto 360 in terms of quality of materials, so then it comes down to which device you think looks better. 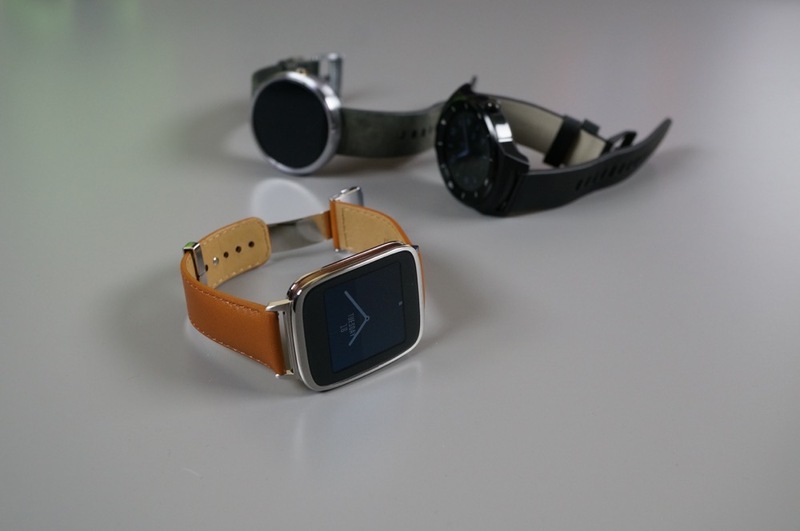 Out of the three, the Moto 360 is still my personal favorite, but I would put the ZenWatch at a close second. In terms of performance, well, we have to put it through its paces to come to some conclusions there. With its Snapdragon 400 and 1.63-inch AMOLED display, it should be as speedy as the G Watch R and probably a little speedier than the Moto 360. We’ll have final thoughts shortly, but for now, check out all three devices in hand and on-wrist in the video below.